Let your outfit sparkle with glamour as you carry this white clutch from Dorothy Perkins for a night out with your girlfriends. 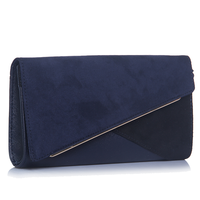 Featuring a rectangular design with a textured pattern,Final- this clutch also has a metallic tipping and a chain grab that will make it easier for you to hold. Store your essentials safe in this PU (polyurethane) clutch and carry it in style. Let your outfit sparkle with glamour as you carry this white clutch from Dorothy Perkins for a night out with your girlfriends. Featuring a rectangular design with a textured pattern,Final- this clutch also has a metallic tipping and a chain grab that will make it easier for you to hold. 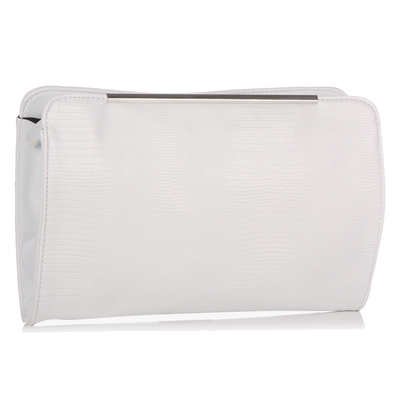 Store your essentials safe in this PU (polyurethane) clutch and carry it in style.